Summary: Beware of PUNK. Smaller, tougher and louder than you would expect. Play it everywhere and take it anywhere. PUNK is fearless. Not afraid of water, dirt, or getting kicked around and gutsy enough to play music loud. If you won’t break the rules, PUNK will. 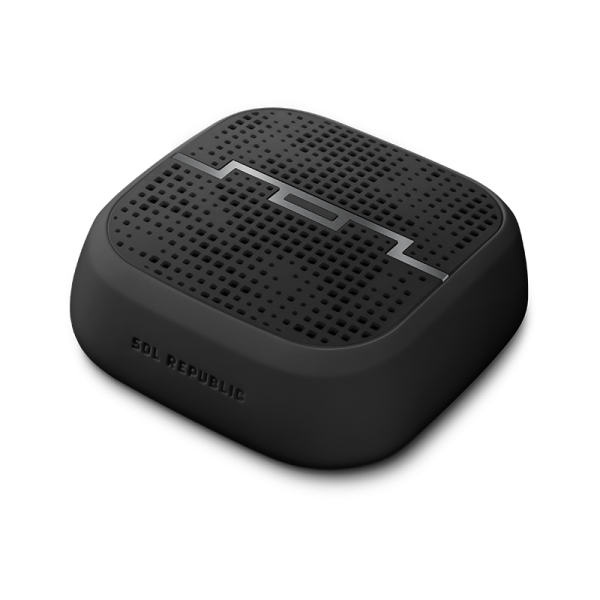 I am so excited to tell you about the new Sol Republic PUNK Wireless Speaker! Talk about the perfect gift for the holiday season! I absolutely love this product and can't believe my family has been living without one for this long. Trust me.... once you have one of these, you won't get over how wonderful it is. Prior to receiving my PUNK, I had been checking out various wireless speakers; and I knew I wanted to get one for my husband for Christmas. The PUNK has everything I wanted. It's a very small speaker that packs a powerful punch. It literally fits in the palm of my hand (see photo below for exact size.) It has some fantastic features, and I love that it comes bright colors including blue, green and red! Fortunately for my husband, I received a black PUNK like the one pictured below. (He's not exactly into the bright colors, but my teenage daughter and I love them!) The PUNK might be small but it definitely can project sound. Plus, it's both dust and shock resistant and has an all day 8-hour battery life which is 50% more than other speakers its size. There is a one year warranty too. 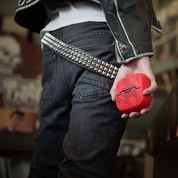 PUNK is so easy to use and pairs easily with any Bluetooth™-enabled audio device. You can connect it to your home or car stereo with the 3.5mm jack and it becomes your Bluetooth hub, enabling you to control any stereo wirelessly from up to 60 feet away. My family prefers to listen to music with it, although I've been using it to listen to audio books (I'm such a book geek! ), and I'm certain this will be a staple outdoors when the weather gets warmer. In the meantime, we have been using to in our kitchen, family room and pretty much anywhere we go. Because it's so small, it really can travel with you anywhere... not just the house or backyard! 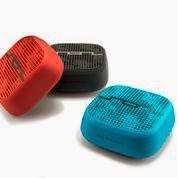 The PUNK Wireless Speaker retails for $69.99 at retailers like Best Buy, and I think it's well worth it. Make sure you check out the reviews for this product because they are all extremely positive. Our family loves the PUNK Wireless Speaker and I highly recommend it this holiday season! Giveaway alert: I have a Sol Republic PUNK speaker to share with one lucky Booking Mama reader. To enter, just fill out the form below before December 8th at 11:59 p.m. EST. I will randomly select and notify the winner the following day. This contest is open to those of you with U.S. or Canada addresses only. Good luck! Sometimes I prop my phone up in the kitchen to listen to music or books so this sounds terrific to me! Thanks for the giveaway!